I found this site by chance and I am really hooked to it! it becomes really adictive! 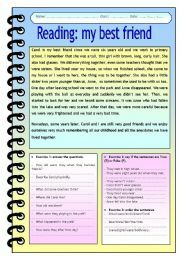 I would like to share my worksheets with ESL teachers from all over the world, as well as share theirs. I hope you like mine!! 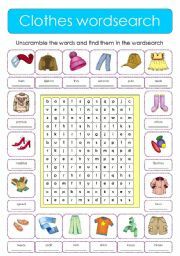 Clothes wordsearch. Unscramble the words and find them in the wordsearch. I hope you find it useful and enjoy it. Reading with some exercises to practice written comprehension. The text is written in the past simple, so it is useful to revise it. I hope you like it. I have taken the template from www.eslprintables.comprintable.aspid=371280#thetop, thank you. Colour the Easter picture following the numbers. Very useful for little kids who are learning the colours and the numbers. 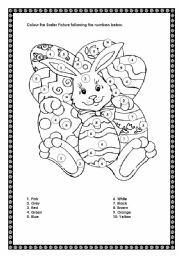 Besides, they will enjoy colouring the Easter picture. 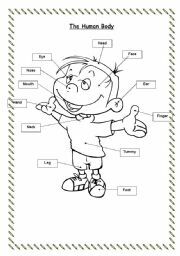 It is a 2-paged sheet about the parts of the body. The first one is a flashcard to show to your students, whereas the second one is the same sheet, but in which children will have to fill in the gaps with the parts of the body. Then they can colour it. It think it is very useful, I hope you like it!! Food picture dictionary. Very useful for students to learn the vocabulary. The words are alphabetically ordered. 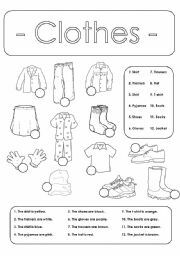 Very useful worksheet in which children have to number the clothes and then colour them following the instructions given. I hope you like it. Complete the crossword. 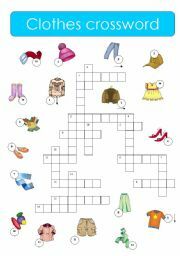 Look at th pictures and write their names in the crossword. Very useful to revise the vocabulary of clothes. I hope you like it. 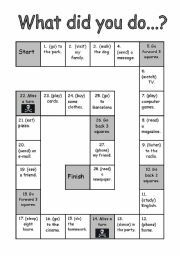 Boardgame to practice the past simple tense. Children have to throw the dice and say the sentences putting the verbs in brackets in past simple. 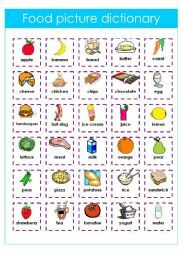 There ar regular and irregular verbs. I hope you like it and you find it useful. Flashcard which shows very clearly the members of the family and the different relationships between them. I have written the most direct ones. 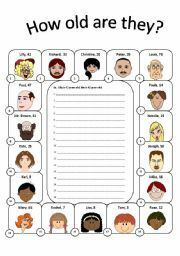 You can use it as a flashcard, as a poster for your class or for doing some activity making children writing the names on their own. I hope you like it and find it useful! Here it is the second part of the power point I sent yesterday. It contains the alphablet illustrated with some examples of words stanting by each letter. I hope you like it!